Do you wish to play on GTarcade Desktop with your existing FB account? 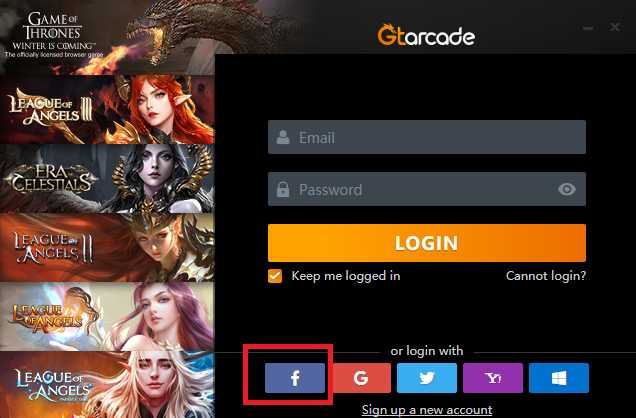 Did you meet any problem when binding your FB account to GTarcade account? 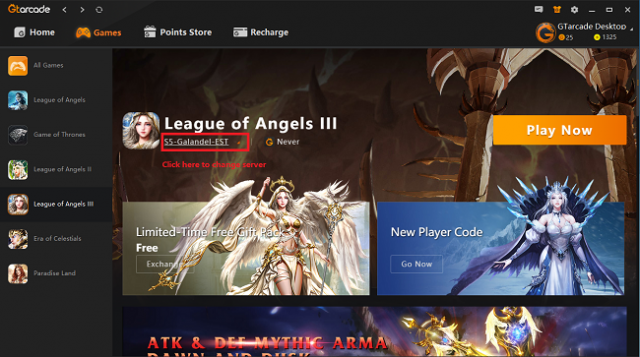 Did you find it unable to sync the game with your FB account? 1. Quick login to the GTarcade Desktop with your FB account and enter the game page. 2. Click the little triangle to extend the server list. 3. Click the Facebook banner for "Connect now" and follow the instruction to bind your FB account to GTarcade Desktop account (automatically created based on your FB account). 4. Then click your Facebook character to log into the character you want to play. *Note: Quick login with FB account doesn’t mean you have logged into the FB character. It means the system created a GTarcade account based on your FB account. 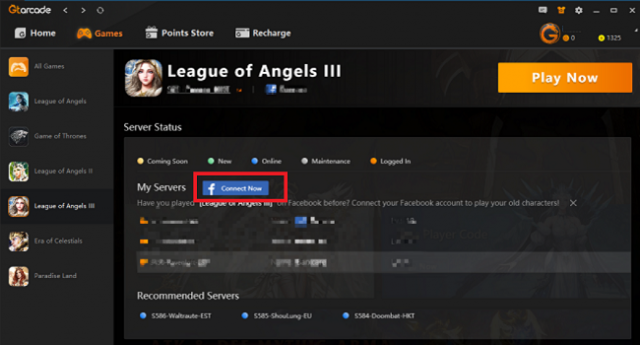 Make sure you have bound your FB account and choose the same server and character you played before. Download GTarcade Desktop and claim the in-game currencies right now. • Yes. Your feedback is highly appreciated and will help us better improve our product. • No. Please leave the problem you met with detailed info on FB comments. Which 3 types of rewards can I get on GTarcade Desktop? Does Speed+ really speed up my game on GTarcade Desktop?